This is a beginner slouchy hat pattern worked in the round. You must know how to knit and purl: all other steps are thoroughly explained after the written, printer friendly pattern for those who are new to working in the round or need help with terms like “K2tog” and “K1tbl”. I go over how to cast on, and also how to bind off the top of the hat, create a pompom, and even how to switch colors halfway though. 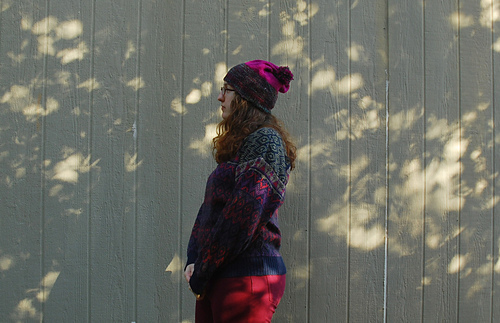 To make this bright two-color slouch hat, I used aran weight yarn in two colors. Enjoy!